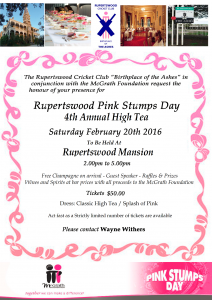 Pink Stumps Day 2016 is almost here! Posted on 22 January, 2016 at 10:00 am. 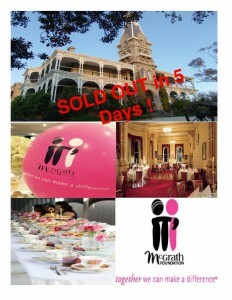 Following on from the huge success of our previous Pink Stumps Day Ladies High Tea events, we are proud to announce that our 4th Annual High Tea on 20thFeb supporting the McGrath Foundation has been booked solid within days of release! We thank you for the overwhelming support for this event and for those that missed out on tickets this year, please keep a sharp eye out in 2017! Of course our Ladies High Tea is not the only event on Pink Stumps Day, home games will be played using pink stumps, pink pads/ gloves and pink bat grips will be available for purchase in the week prior, so look out for them. We ask that the entire club sport a Pink Ribbon on the day. Pink Ribbons will be available for Juniors and Seniors and supporters for a small donation via your team captains / managers. 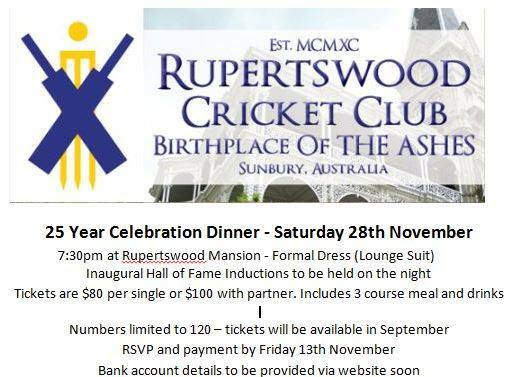 Proceeds of these initiatives go directly to the McGrath Foundation. Breast cancer is an insidious disease that affects a staggering 1 in 9 women. 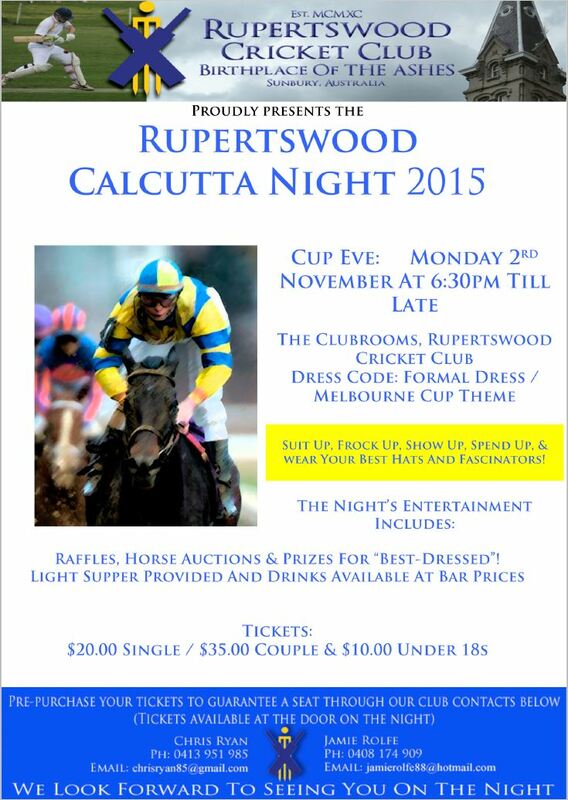 Please help Rupo support the McGrath Foundation to continue their wonderful work. We encourage all members of the Rupo family to show your support by donating via the Pink link on the bottom of this page. Posted on 13 January, 2016 at 3:53 pm. Posted on 17 December, 2015 at 9:01 am. Posted on 7 December, 2015 at 10:23 pm. Under 12 player, Sonny Phelan added to his trophy cabinet over the weekend, picking up a rare hat trick against Riddell during Rupertswood’s defence of 116. Sonny finished his two overs with a remarkable 3 for 9, sending a late scare through Riddell’s middle order, with the Bombers passing Rupo’s total 7 down. In addition to his hat trick, Sonny took a screamer of a catch, teaching our senior arm of the club a thing or two on how to get the job done. Well done Sonny, keep up the great work! Posted on 13 November, 2015 at 8:20 pm. 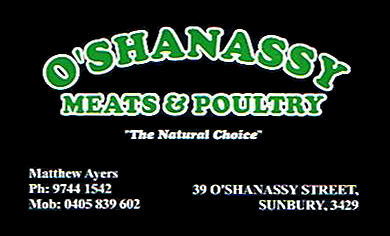 Posted on 21 October, 2015 at 10:01 am.